Here for camp experience only? 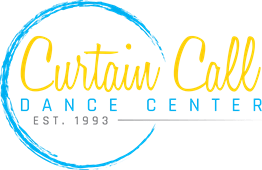 I, ________________, as parent or legal guardian of ___________________________, give my permission for my child to participate in Curtain Call Dance Center, Inc. classes. I am aware that any activity involving movement has risks. I understand that care will be taken to create the safest possible environment in which my child can learn. Prevention is the key to success, and all participants will be expected to follow all safety rules. I HEREBY WAIVE AND RELEASE any and all claims against Curtain Call Dance Center, Inc. Curtain Call Performing Companies, Inc. , the directors, teachers, and any one or more of their assigns of and from any liability resulting from injury as a result of my child participating in this activity. I have received a copy of the student handbook & agree to abide by established policies and procedures as listed in the handbook. I also understand that payment is expected when services are rendered. Balances are due the first business day of each month for upcoming classes. Balances not paid by the 5th of each month are assessed a 10% late fee. Balances 30 days past due will result in dancer's non-participation in class until account is current. A Credit/Debit Card or Bank Draft is required to be on file for tuition & costume charges. In the event collection efforts are necessary, parent or guardian will be held liable for all collection fees, including but not limited to court and legal fees. I hereby grant Curtain Call Dance Center, Inc., and it's respective licensees, successors, affiliates, and assigns permission to use or reproduce any images of my child (children) in any format whatsoever for promotional purposes including but not limited to marketing, advertising publicity, print materials, social media, websites, and internet advertising. Said images are property of Curtain Call Dance Center, Inc and no compensation whatsoever is paid for the use thereof. I agree to fully indemnify, hold harmless and release all claims against Curtain Call Dance Center, Inc., in relation to said name and images.